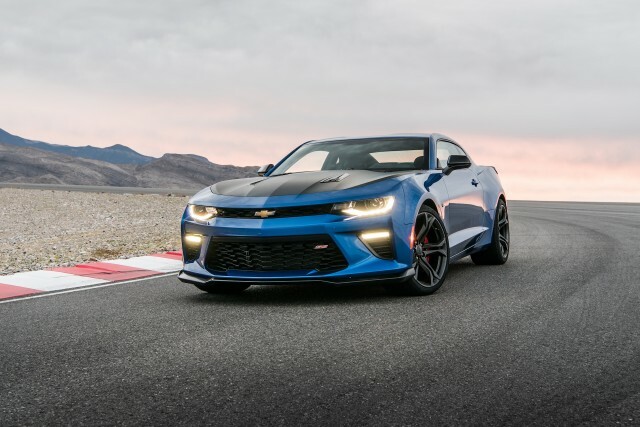 Few things are as honestly and distinctly American as the 2018 Chevy Camaro SS 1LE. It’s big, loud and very, very fast. But, unlike Camaros from two or three decades ago, it’s also a world-class performance car. The Camaro just as good through a corner as it is in a straight, especially when equipped with the 1LE handling package. As it always has, competition with the Ford Mustang has kept GM’s engineers on their toes and helped deliver the wonderful red and black car you see here. On the SS, the 1LE package will run you $7,000. It’s not cheap, but it is transformative. The package comes with 20-inch wheels with Goodyear summer tires, Magnetic Ride Control, an electronic limited-slip differential, Brembo brakes, a front splitter, a spoiler a dual-mode exhaust system, Recaro seats and a heads up display. The only other option on our test car is the $1,300 performance data recorder. But at least for me, I can forgive all my gripes about the interior because the Camaro is just so good to drive. Those issues melt away as I slam the gas, shuffle the gears, and steer it through corners. It’s just that good. Editor-in-Chief Greg Migliore: This thing is sharp, and driving the Chevy Camaro SS 1LE literally kept me on my toes. With a heavy hair-trigger clutch and tight shifts, this track-bred demon is the opposite of autonomous driving. That’s a good thing. It’s interactive and enjoyable. I drove it barefoot, because it’s summer and a manually shifted V8 Camaro — red no less — makes for an exuberant experience. The 6.2-liter engine pumping out 455 hp is strong, raw and nicely calibrated. Chevy made it so the driver knows the engine can rip your head off, but only if you want it to do so. The interior is just ok. I never really like the materials in any trim of the Camaro, this one included. The vents, which twist to adjust output, are clever. The touchscreen works well, is colorful and is intuitive to use. Senior Editor, Green, John Beltz Snyder: It had been a while since I had been in a Camaro, but I had freshly been in V8-powered Mustangs. As I watched Reese’s live drive on Facebook, I — in addition to asking dumb questions about snakes in the comments – took notice of his gleeful reaction to the car’s acceleration. It made me excited to drive it.